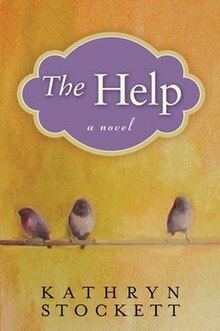 A friend—a quilter who’s working on his first YA* manuscript himself—recently reminded me of Kathryn Stockett’s best-selling debut novel THE HELP. We were discussing our respective projects, and I described my agent’s early-on request for “comparables” (successful novels similar to mine). My book is structured (like FRANKENSTEIN itself) as a story within a story. The inner narrative is Mary Shelley’s first-person memoir, written as she might have written it the summer of 1850—the year before her death. The exterior story features the foibles of English teacher Grace Zacharias, the FRANKENSTEIN-obsessed mother of three who constructs Mary’s memoir after breaking her leg. Like millions of people, I read THE HELP in 2009 (and watched the Oscar-winning movie in 2011), but I had forgotten about the writer-writing-a-book angle, so consulted the oracle that is Wikipedia. The principal protagonist, Skeeter, has just graduated from the University of Mississippi. In her quest to become a writer, she lands a job penning a household advice column for the local newspaper. Eventually, she convinces the maids her white friends employ to collaborate with her on a book about what it is to be a colored maid in Jackson, Mississippi, in the 1960s. The final chapters of THE HELP describe the impact of Skeeter’s book’s appearance in Jackson. THE HELP isn’t, after all, an adequate comparable to MY LIFE WITH SHELLEY. That said, as a hoping-to-be-published debut novelist, I ate up the following info: Stockett spent five years on her manuscript, which was rejected by 60 literary agents over a period of three years until one finally agreed to represent her. THE HELP was subsequently published in 35 countries and three languages. By August 2011, it had sold seven million copies in print and audiobook editions. It was on The New York Times Best Seller List for over 100 weeks. **In the script for my fantasy interview with Terry Gross on Fresh Air, one of Terry’s lines is, “So, Marianne, your novel—which I loved—is about a writer writing a book about the writer who wrote FRANKENSTEIN. What was your inspiration? The ultimate author interview, Terry Gross. I so enjoy the story behind the books she shares. I not only look forward to your book but am anxious to see how many copies get sold. All it takes amazing stamina and the hide of a rhinoceros. Birthing. Hard work. Dedication. Passion. Curiousity. Creativity. Nerve. I hope the story is told of the immense research capacity you demenstrate on this labor of love. I have read only the first 30 pages, but I admire how you manage the time shifts and interrelate Mary’s experiences with Grace and her daughters. I shall write you more later. Thanks, Joe. Let me know if you find any typos or glitches!